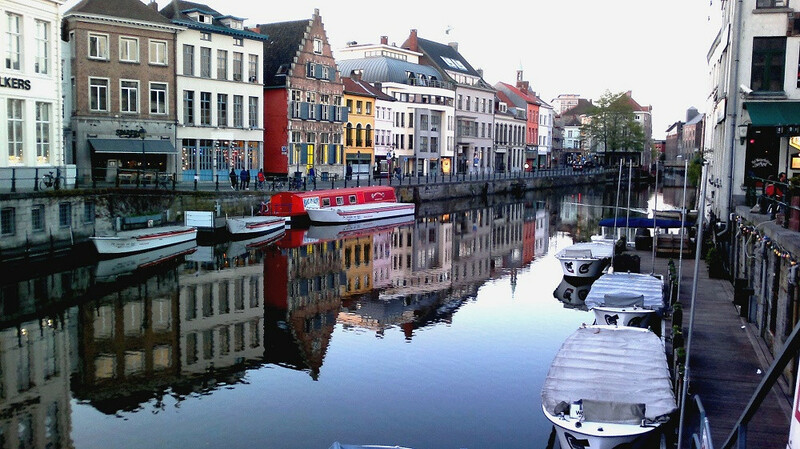 There’s more to Belgium than waffles and jihadists. Did you know that this is where Smurfs come from? And chips? The saxophone was Belgian-born in the 1840s, and Django Reinhart in 1910. This is a great country if you’re crazy about comic books: there are nearly 900 registered titles here, or a different comic book for every 12,000 citizens. The chocolate is fantastic. So is the architecture. Did I mention great beer served in bars that never close? So what makes a handful of young Muslim men from Belgium so angry? It’s complicated. Belgium is a country divided by language and culture: Flemings live in the northwest, (Flanders) and their Flemish-speakers make up the majority of the country by two-thirds. French-speaking Walloons occupy (Wallonia) the southeast. Stitched together by revolution in the 19th Century, the two regions have stuck, if uneasily, to the idea that good [linguistic] fences make good neighbours. Many rabble-rousers put forth that Belgium is merely a geographic entity, with no national identity. So Belgians have no connection with national identity. And a quarter of Belgians aren’t from Belgium. Nearly 25% of people who live in Belgium have a direct connection with immigration or are descended from an immigrant. In Brussels, the centre of the Euro-verse, nearly 62 percent of residents are of foreign origin. If Belgians think finding a connection to the homeland is tough, try finding a job. Unemployment was 24.5% for young people in 2015. At least Muslims can stick together, right? Sure, if you can find them. Muslims are a tiny minority, about 6%, in this country of 11 million people where most people have more faith in high-speed Internet than any higher power. Add a wimpy police force with, even now, an ineffectual plan for preventing or handling radicalisation. Guess what happens when ISIS comes calling? More Belgians have joined anti-Assad forces in Syria than any other European country. And terrorist groups adore these young men, who can flit fluidly between Europe and Asia, under the radar, in skinny jeans. With real passports to prove it. So why would anyone want to go to Belgium? Honey, have you seen what Paris is charging these days for a room? Smurf that! Belgium is bracing for a long, slow visitor season. Tourist outfits have slashed prices nearly in half, just to keep the lights on. Hotels are offering great rates. You won’t have to stand on tiptoe to snap a selfie with a 400-year-old urinating doll dressed up like Santa. And the souvenir calendar will be super cheap. As for art that hangs, not pees, on walls, one needn’t fight monster crowds to ogle masterpieces at that Valhalla of the 9th Art, Brussels’ Comic Art Museum. Scared? Fear not. Mathematically, a brush with food poisoning from the kebab shop is more likely than an encounter with a radicalised jihadist. Just in case, bone up on some safety tips from battlezine’s Stay Safe pages. There you can find out what to do in a riot, how to stay safe during a firearms attack, tips for solo women travellers and more. Once outfitted with safety tips, hop off to Belgium, where you’ll have plenty of extra scratch for beer and more in Bruges. Proost! Sante!